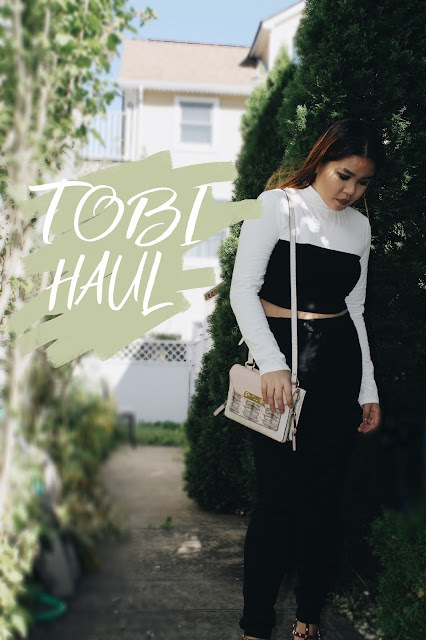 I've been experimenting with my personal style lately and I absolutely fell in love with Tobi's clothes as I was browsing through their website. I can totally see myself wearing every piece of clothing they have online. You just don't know how excited I was when I got my package the other day. I haven't really been taking photos outside because of the weather but I will next week. This is how I styled each item I shopped at Tobi. I'm currently into black, white, and neutrals this season that explains every look I've posted. I provided the links where you can buy them. I had to do another photo 2 days after. I just love this dress! I haven't worn this jacket yet but I will next weekend so stay tuned for another outfit post! You can get the exact jacket here. Just awesome! Thanks for this.